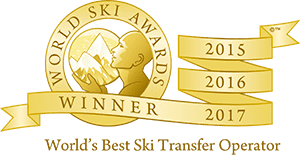 Get an instant quote and book your transfer to Sauze d’Oulx from Turin Airport. As well as Sauze d’Oulx airport transfers from Turin Airport, Ski-Lifts also operate transfers from nearby airports to Sauze d’Oulx, including; Cuneo, Milan Linate, Milan Malpensa and Bergamo. Remember to use your loyalty points for a discount on your next transfer! Getting an airport transfer to Sauze d’Oulx could not be more simple with Ski-Lifts. You will have peace of mind that your driver will be waiting for you the moment you step off the plane, ready to take you to Sauze d’Oulx. Book online today using our easy to use quote generator and booking system. Get a quote now! Ski-Lifts offer a range of airport transfers to Sauze d’Oulx, as well as many other ski resorts in Italy. 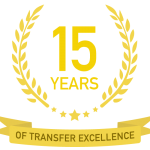 There’s a range of transfers available through our quote generator, including; private transfers to Sauze d’Oulx, luxury transfers to Sauze d’Oulx and for bigger groups, private coach transfers to Sauze d’Oulx. Sauze d’Oulx is perfect for mini-breaks, due to its short transfer time and links to nearby airports. For example, a transfer from Turin to Sauze d’Oulx only takes around 1.5 hours. – For your return journey, we will send you a text message the afternoon before you are due to depart confirming your exact pickup time from your accommodation for your transfer from Sauze d’Oulx to the airport. Sauze d’Oulx is one of the most famous resorts in Italy, forming part of the enormous Milky Way ski area and giving you access to 400km of pistes. Once renowned as an out and out party resort, Sauze d’Oulx’s reputation has changed in recent years and now attracts a very mixed crowd of visitors. That is not to say though that it’s not still a lively resort with plenty of night time entertainment. The resort caters very well for intermediate skiers and snowboarders looking to develop their skills and provides a great place for an introduction to off-piste tree skiing. The ski resort itself sits above 1500m, so it’s possible to ski or snowboard back to the resort. Pistes can sit above 2500m, so skiing and snowboarding are often assured throughout the season. A Milky Way ski pass covers the entire Milky Way ski area. The ski pass covers up to 6 resorts and 400km of pistes in Italy and France. Who is Sauze d’Oulx Suitable For? Sauze d’Oulx has reinvented itself over the last 10 years or so; the resort has shaken off its 80s reputation for being a haven for partygoers. The beautiful medieval village now has much more appeal to families, that’s not to say partygoers still don’t head to Sauze. The Dolomites are famous for their mountain restaurants, however, if you head over the Italian Alps, Sauze d’Oulx barely shouts about their brilliant restaurants. We know all about the nightlife in Sauze, but what we don’t know, is that there is a tonne of excellent on-mountain and village eateries here. This ensures there’s also plenty for non-skiers in Sauze d’Oulx. You won’t be hard pushed to find accommodation to suit your needs in Sauze d’Oulx. The resort offers a wide range of accommodation, from four-star hotels with a swimming pool and spa, all the way to rustic mountain rooms. Sauze d’Oulx may not be the best place in the Alps to learn to ski. The resort mainly caters for intermediates with lots of fast and wide pistes. That being said, the village does have ski and snowboard schools, with the first one being set up in 1937.